Selectors boxes are very common elements in forms. By the "select" type you can create selector boxes. In the most simple form this is a list of values among which you can chose only one. In that way it is similar to the "radio" type above. More complex configurations are possible, see the examples section for more details. Contains the elements for the selector box unless the property "foreign_table" or "special" has been set in which case automated values are set in addition to any values listed in this array. Second value is the value of the item . Values must not contain "," (comma) and "|" (vertical bar). If you want to use "authMode" you should also refrain from using ":" (colon). Third value is an optional icon. 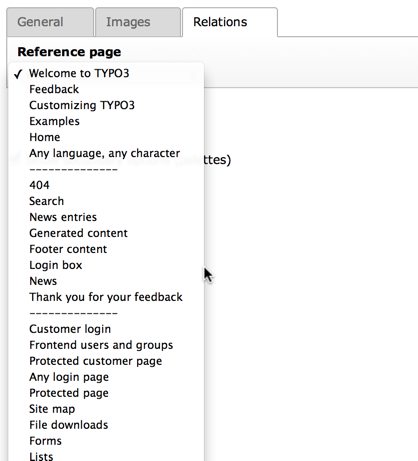 Default path is typo3/sysext/t3skin/icons/gfx/ but is deprecated since TYPO3 CMS 7, and will be removed with TYPO3 CMS 8. For custom icons use a path prepended with "EXT:" to refer to an image file found inside an extension or use an registered icon identifier. Fourth value is an optional description text. This is only shown when the list is shown by renderType selectCheckBox. Fifth value is reserved as keyword "EXPL_ALLOW" or "EXPL_DENY". See option "authMode" / "individual" for more details. Usage of path in the third property is deprecated. For custom icons use a path prepended with "EXT:" to refer to an image file found inside an extension or use an registered icon identifier, which is the prefered way. The function/method will have an array of parameters passed to it (where the item-array is passed by reference in the key 'items'). By modifying the array of items, you alter the list of items. Since TYPO3 CMS 6.2, your function/method may throw an exception which will be displayed as a proper error message. For more information, see how user-functions are specified in the section about wizards some pages below here. The number of rows in which to position the icons for the selector box. Default is to render as many columns as icons. Controls the rendering of the icons after the select even when icons for the <select>'s <option> tags were supplied. The item-array will be filled with records from the table defined here. The table must be configured in $TCA. See the other related options below. 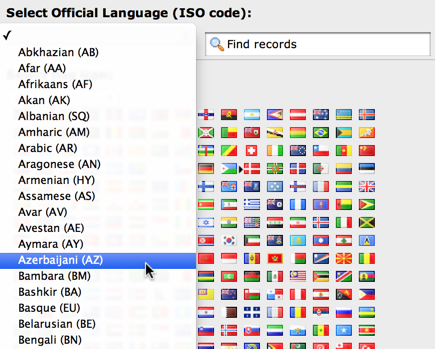 The items from foreign_table are selected with this WHERE-clause. ###REC_FIELD_[field name]### - Any field of the current record. The field name part of the marker is not in upper case letters. It must match the exact case used in the database. ###THIS_UID### - is current element uid (zero if new). ###CURRENT_PID### - is the current page id (pid of the record). ###PAGE_TSCONFIG_ID### - a value you can set from Page TSconfig dynamically. ###PAGE_TSCONFIG_IDLIST### - a value you can set from Page TSconfig dynamically. ###PAGE_TSCONFIG_STR### - a value you can set from Page TSconfig dynamically. The markers are preprocessed so that the value of CURRENT_PID and PAGE_TSCONFIG_ID are always integers (default is zero), PAGE_TSCONFIG_IDLIST will always be a comma-separated list of integers (default is zero) and PAGE_TSCONFIG_STR will be addslashes'ed before substitution (default is blank string). More information about markers set by Page TSconfig can be found in the TSconfig reference. See example below "Simple selector box with TSconfig markers". Label prefix to the title of the records from the foreign-table. Specifying a folder from where files are added to the item array. Specify the folder relative to the PATH_site, possibly using the prefix "EXT:" to point to an extension folder. Files from the folder is selected recursively to the level specified by fileFolder_recursions and only files of the extension defined by fileFolder_extList is selected. Only the file reference relative to the "fileFolder" is stored. If the files are images (gif,png,jpg) they will be configured as icons (third parameter in items array). List of extensions to select. If blank, all files are selected. Specify list in lowercase. Depth of directory recursions. Default is 99. Specify in range from 0-99. 0 (zero) means no recursion into subdirectories. If set, then values which are not integer ids will be allowed. May be needed if you use itemsProcFunc or just enter additional items in the items array to produce some string-value elements for the list. Notice: If you mix non-database relations with database relations like this, DO NOT use integers for values and DO NOT use "_" (underscore) in values either! Notice: Will not work if you also use "MM" relations! 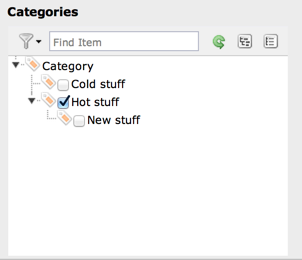 If empty, the first element in the items array is selected. Set it to the exact same value as foreign_table if you don't want values to be remapped on copy. If set, the foreign_table_where will be ignored and a "pid=0" will be added to the query to select only records from root level of the page tree. Means that the relation to the records of foreign_table is done with a M-M relation with a third "join" table. uid_local, uid_foreign for uids respectively. tablenames is used if multiple tables are allowed in the relation. uid (auto-incremented and PRIMARY KEY) may be used if you need the "multiple" feature (which allows the same record to be references multiple times in the box. See MM_hasUidField. Other fields may exist, in particular if MM_match_fields is involved in the set up. The field name of the config is not used for data-storage anymore but rather it's set to the number of records in the relation on each update, so the field should be an integer. Using MM relations you can ONLY store real relations for foreign tables in the list - no additional string values or non-record values. MM relations has been tested to work with flexforms if not in a repeated element in a section. See example below. If you want to make a MM relation editable from the foreign side (bidirectional) of the relation as well, you need to set MM_opposite_field on the foreign side to the field name on the local side. E.g. if the field "companies.employees" is your local side and you want to make the same relation editable from the foreign side of the relation in a field called persons.employers, you would need to set the MM_opposite_field value of the TCA configuration of the persons.employers field to the string "employees". Bidirectional references only get registered once on the native side in "sys_refindex". Array of field=>value pairs to both insert and match against when writing/reading MM relations. In a MM bidirectional relation using match fields the opposite side needs to know about the match fields for certain operations (for example, when a copy is created in a workspace) so that relations are carried over with the correct information. MM_oppositeUsage is an array which references which fields contain the references to the opposite side, so that they can be queried for match field configuration. This is used by the Core for system categories. Whenever a table is registered as being categorizable, an entry in MM_oppositeUsage is created for the "sys_category" table. Additional where clause used when reading MM relations. If the "multiple" feature is used with MM relations you MUST set this value to true and include a UID field! Otherwise sorting and removing relations will be buggy. tables - the list of TCA tables is added to the selector (excluding "adminOnly" tables). pagetypes - all "doktype"-values for the "pages" table are added. exclude - the list of "excludeFields" as found in $TCA is added. modListGroup - module-lists added for groups. modListUser - module-lists added for users. explicitValues – List values that require explicit permissions to be allowed or denied. (See authMode). As you might have guessed these options are used for backend user management and pretty worthless for most other purposes. Height of the selector box in TCEforms. If set, then the height of multiple-item selector boxes (maxitems > 1) will automatically be adjusted to the number of selected elements, however never less than "size" and never larger than the integer value of "autoSizeMax" itself (takes precedence over "size"). So "autoSizeMax" is the maximum height the selector can ever reach. If set, this will override the default style of the selector box with selected items (which is "width:200px"). If set, this will override the default style of the selector box with available items to select (which is "width:200px"). selectSingle - Normal select field for selecting a single value. selectSingleBox - Normal select field for selecting multiple values. selectCheckBox - List of checkboxes for selecting muliple values. selectMultipleSideBySide - Two select fields, items can be selected from the right field, selected items are displayed in the left select. selectTree - A tree for selecting hierarchical data. Properties "maxitems" and "minitems" are not enforced in the browser for any of the render types here! However they will be on the server. It is recommended to set "minitems" to zero and "maxitems" to a very large number exceeding the possible number of values you can select (for instance set it to 1000 or so). Configuration if the renderType is set to "selectTree". Either childrenField or parentField has to be set - childrenField takes precedence. dataProvider: Allows to define a custom data provider class for usecases where special data preparation is necessary. 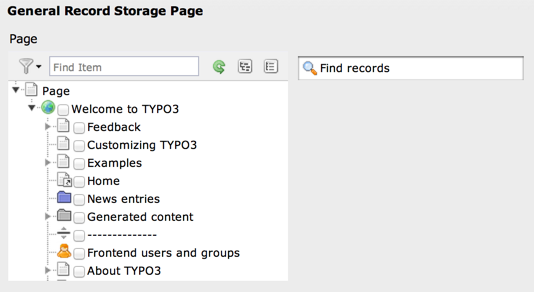 By default \TYPO3\CMS\Core\Tree\TableConfiguration\DatabaseTreeDataProvider is used. allowRecursiveMode (boolean) : If set to true, the selection of a node will trigger the selection of all child nodes too (recursively). width (since TYPO3 CMS 6.0): Set a custom width of the tree select field in pixels. Allows the same item more than once in a list. If used with bidirectional MM relations it must be set for both the native and foreign field configuration. Also, with MM relations in general you must use a UID field in the join table, see description for "MM"
Property maxitems is ignored if renderType selectSingle is set. See the wizards section for more information. If set, then no element is inserted if the current value does not match any of the existing elements. A corresponding options is also found in Page TSconfig. If set, a textual field is shown above the available items in which one can type words to filter the list of available items. Applies only when maxitems is > 1. See example and screenshot below. Contains predefined elements for the filter field enabled by enableMultiSelectFilterTextfield. On selecting a item, the list of available items gets automatically filtered. First value is the filter value of the item . explicitDeny – All static values from the "items" array of the selector box will be added to a matrix in the backend user configuration where a value must be explicitlyselected if a user should be denied access. individual – State is individually set for each item in the selector box. This is done by the keywords " EXPL_ALLOW " and " EXPL_DENY " entered at the 5. position in the item array (see "items" configuration above). Items without any of these keywords can be selected as usual without any access restrictions applied. Notice: The authentication modes will work only with values that are statically present in the "items" configuration. Any values added from foreign tables, file folder or by user processing will not be configurable and the evaluation of such values is not guaranteed for! "authMode" works also for selector boxes with maxitems > 1. In this case the list of values is traversed and each value is evaluated. Any disallowed values will be removed. If all submitted values turns out to be removed the result will be that the field is not written – basically leaving the old value. For maxitems <=1 (single value) this means that a non-allowed value is just not written. For multiple values (maxitems >1) it depends on whether any elements are left in the list after evaluation of each value. Various additional enforcing options for authMode. strict - If set, then permission to edit the record will be granted only if the "authMode" evaluates OK. The default is that a record having an authMode configured field with a "non-allowed" value can be edited – just the value of the authMode field cannot be set to a value that is not allowed. Notice: This works only when maxitems <=1 (and no MM relations) since the "raw" value in the record is all that is evaluated! List of keys that exclude any other keys in a select box where multiple items could be selected. 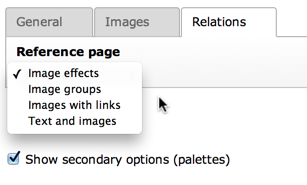 "Show at any login" of "fe_groups" (tables "pages" and "tt_content") is an example where such a configuration is used. In the configuration the elements are configured by the "items" array. Each entry in the array contains pairs of label/value. Notice the third entry of the "items" array. It defines a divider. This value cannot be selected. It only helps to divide the list of options with a label indicating a new section. This example shows the use of markers inside the foreign_table_where property and how the corresponding TSconfig must be set up. The value stored in the database will be a comma-separated list of uid numbers of the selected records. An interesting point of this example is that it shows that static values can be mixed with values fetched from a database table. Notice how a condition is set that this box should only be displayed if the extension it relies on exists! This is very important since otherwise the table will not be in the database and we will get SQL errors. Notice the configuration of autoSizeMax. This value will make the height of the selector boxes adjust themselves automatically depending on the content in them. This example demonstrates the use of MM relations. In particular they are used to relate system categories to a variety of other records. As such it is necessary to keep track in the MM table of the nature of each such record. This is achieved by using the "fieldname" field, referenced in the MM_match_fields configuration. The "tablenames" field is also used in the case where multiple category relation fields are added to the same record type (as happens to the "pages" table when the "examples" extension is installed). The above configuration also defines the MM relation as being bidirectional, via the MM_opposite_field property. This means that we can look at a given category and see which items it is related to. Note that it is perfectly possible to create relations from that side too. The TCA configuration listed above cannot be found directly in a TCA file, but is generated by the addTcaColumn() method of class TYPO3CMSCoreCategoryCategoryRegistry. Since the "select" element allows to store references to multiple elements we might want to look at how these references are stored internally. The principle is the same as with the "group" type.